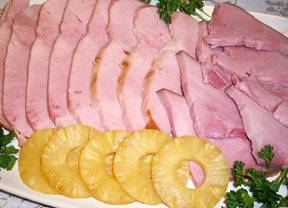 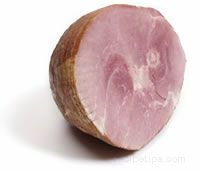 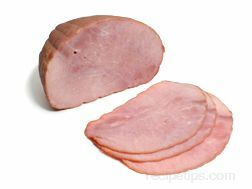 Cut ham into 1/4 inch slices and tie with kitchen string. 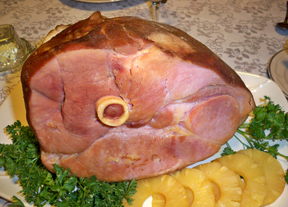 Place ham on rack in shallow roasting pan. 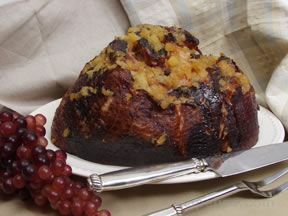 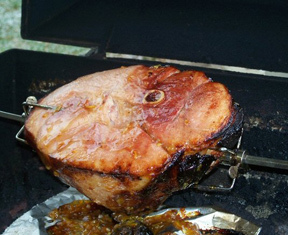 Combine honey and cloves; drizzle over ham. 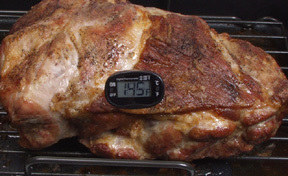 Bake uncovered, at 325 degrees for 1 1/2 to 2 hours or until meat thermometer reads 140 degrees and ham is heating through, basting often with the drippings. 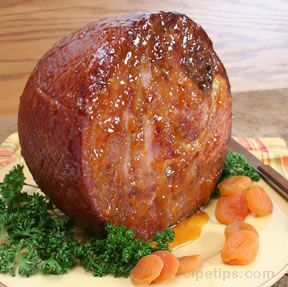 Meanwhile, combine,the brown sugar, horseradish, and lemon juice. 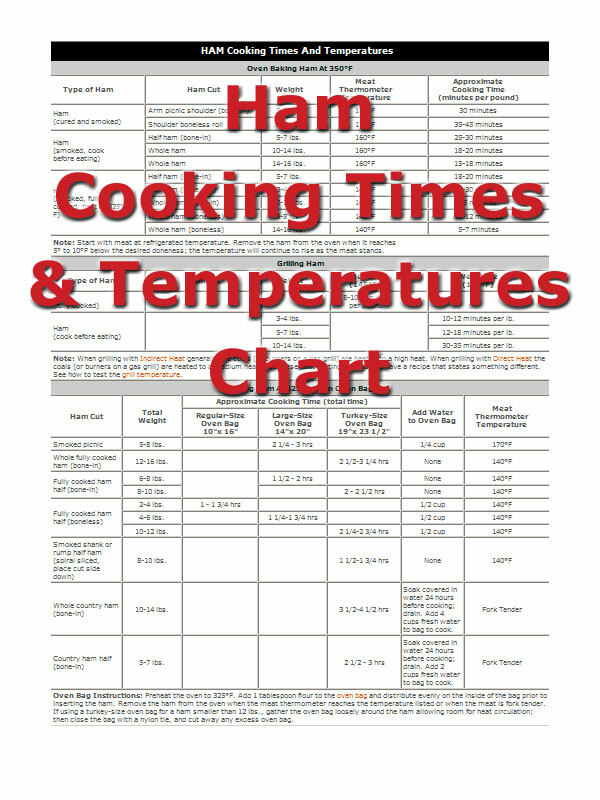 Increase oven temperature to 400 degrees. 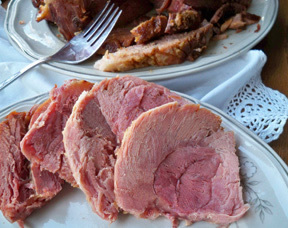 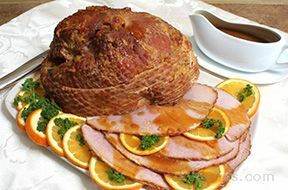 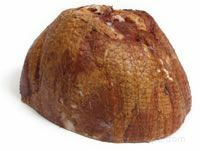 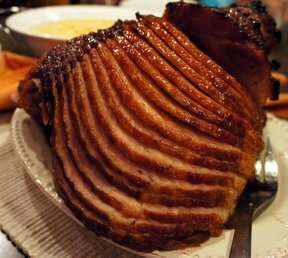 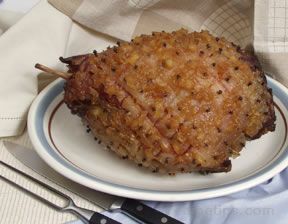 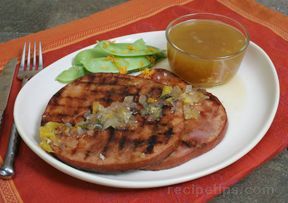 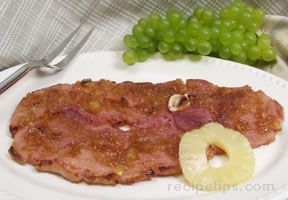 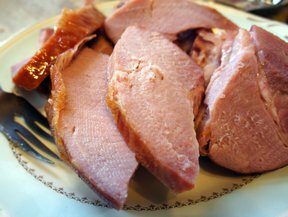 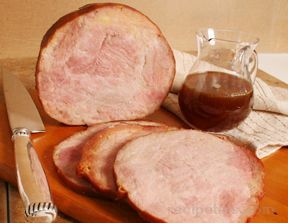 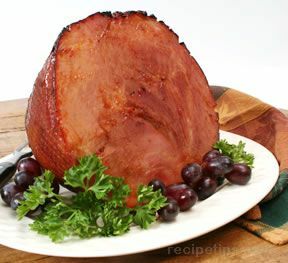 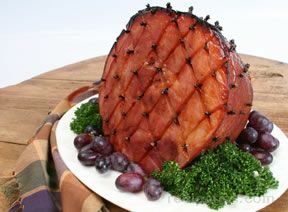 Baste ham with brown sugar sauce so sauce penetrates between slices. 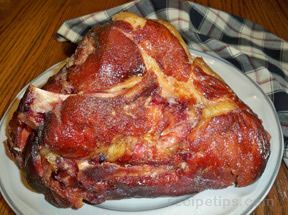 Bake uncovered, for 15 to 20 minutes. 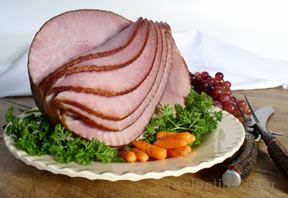 Yields 15-18 servings.